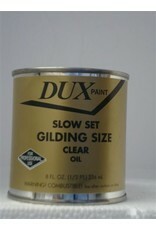 Dux Slow-Set Size is recommended for projects that may require a longer open time for gilding than Quick-Dry will allow. It will reach proper gilding tack in 10-12 hours and will remain open for gilding with genuine or metal leaf for an equal amount of time. 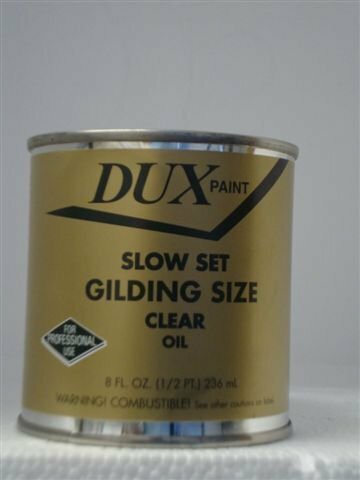 The open time for gilding with metal leaf is usually less, as it is with other oil sizes. Allow to cure minimum of one week before sealing.